So my Xilica's ISO is set to 102. That must be the default setting. When I set it to bypass the hiss level coming out of the 402 horn rises slightly. This is with my ear right in the horn. At the MLP the increase is barely discernable. I left it the 102 setting for now, I hear no audible gating artifacts at this setting. Thank you guys for all your help. I will look into your suggestions tonight and update the thread with my findings. In Ivan's case, if he's already got audible hiss then either the muting function is not set high enough or there is significant EMI on the XLR output cables to his amplifier. The Xilica is dead quiet in all the setups that I've used (XP-4080s for others , XP-8080 in my setup). I tried the ISO setting but it made no difference. Are you lowering the gain by -9.5 so that you can drive the Xilica’s Input at a good level as read on the Xilica’s Input Meters..? 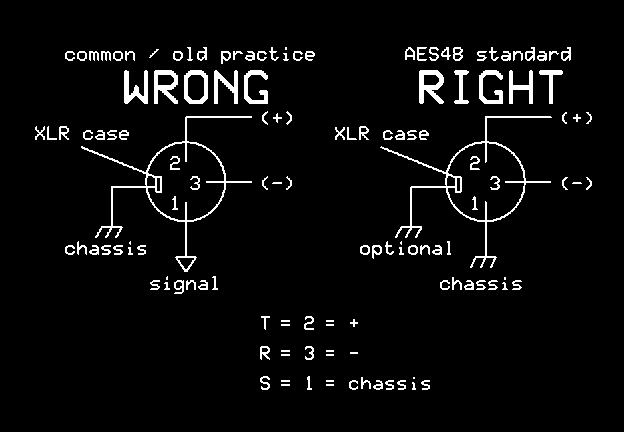 If the above is the case then even if you can adjust the Mute level of the Xilica it sure looks to me like you would benefit from attenuators on the amplifiers inputs due to the input sensitivity and gain of the amplifier. The only reason for lowering the output gain by - 9.5db is for level matching with the midbase and the subs. Muting all inputs and outputs on the Xilica does not make any difference on the hiss sound. What was the outcome of the updated presets file that I sent you a couple of days ago? This sounds like a connection problem somewhere in the chain. The Xilica itself is dead quiet. This sounds like a connection problem somewhere in the chain. The itself Xilica is dead quiet. The updated preset file did not make any difference. I borrowed a Behringer A500 and the hiss reduced. Very cheap amp. Gain in front at 12 o'clock, at max gain its the same hiss sound. I guess this is a amp/gain problem after all? Must be. I'm a bit surprised due to the positive comments from the crowd here on ATI amplifiers (which I don't own and haven't tested). I'm a bit disappointed. It is a possibility that there's something wrong with my copy. I visited a guy yesterday who recently built four Anaview amps. He said it was very easy. Right now it's Yamaha pro and Anaview on top. Did you make your own XLR wires like I did? I didn't stop to think that when you do the opposite end, the colors would reverse and blue would for example, then go on the right .... I painstakingly cross-wired everything. Once discovered, had to check every wire I made and fix them. Does anyone of you have experience with the NAD C268? Class D amp based on the Hypex UcD. Relatively cheap and you can choose between fixed 25db gain or variable gain mode between 14.5db and 34.5db. 80w into a 8ohm load is plenty for the K-402. Did you ever disconnect the inputs to the amp and install dummy plugs or at least short pins 2 and 3 of the input XLRs? There is a slight possibility that the amp has the infamous pin 1 problem. I'm afraid I did not try. Let me try to understand. Short pins 2 and 3 of the input XLR. Does that mean the XLR going into the amp? How do I short it? Are you using your ATI amp with high sensitive speakers? I've used it with Cornwalls and Industrial Heresys. YOu just about have to put your ear in the horn to hear anything. The input is a female XLR? You need a "spare" XLR male(or two for stereo) on which you can place a wire between pins 2 and 3. I use a Heresy III as a center speaker. Previously the Heresy III was wired straight from the receiver with only a quiet hiss sound. I rearranged the cables tonight to make sure the hiss is not coming from bad wiring, and at the same time I connected the Heresy III via the Xilica XP4080. This made no difference in the hiss sound from the Heresy. In other words did not Xilica add noise. I guess the about 10db higher sensitivity from the K-402 is a major factor when it comes to unwanted noise through the speaker. I bought a NAD C268 used. Will receive it after Easter. I realise there is other things I could try but I have a plan with the two spare amp channels. I will come back with a update on how the NAD C268 works regarding noise paired with active K-402.